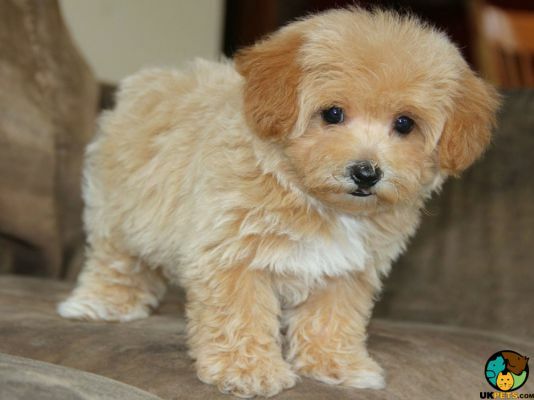 The Maltipoo is a hybrid dog developed by crossing the Maltese and the Miniature Poodle. Since it is a mixed breed, it inherits the appearance and traits of both its parents. It is one of the most popular crossbreeds known for its affectionate and outgoing nature. It loves pleasing people and is easy to train. It has an average weight of 5 to 20 pounds and height of 20 to 35 centimetres. It has a lifespan of 10 to 15 years. 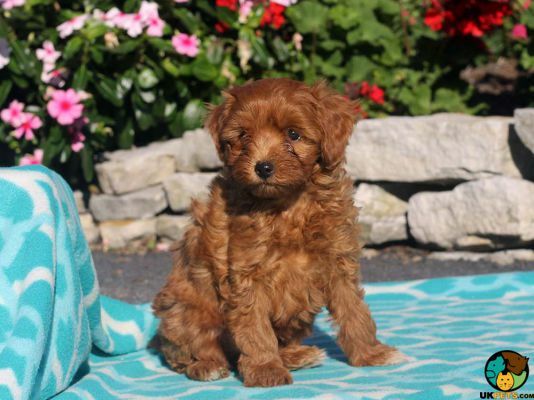 Are you planning to buy a Maltipoo? Here is a brief background on this charming hybrid dog to help you in your buying decision. 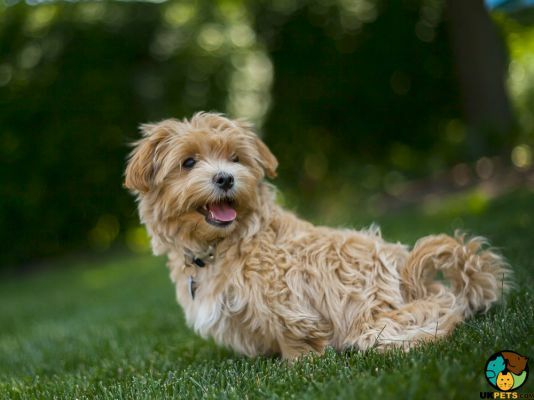 The Maltipoo is a recently developed hybrid dog created to be a companion for people with pet-related allergies. It is a cross of the Maltese and the Miniature Poodle, which are both low-shedding dog breeds. However, there is no scientific proof that Maltipoos have hypoallergenic coats. 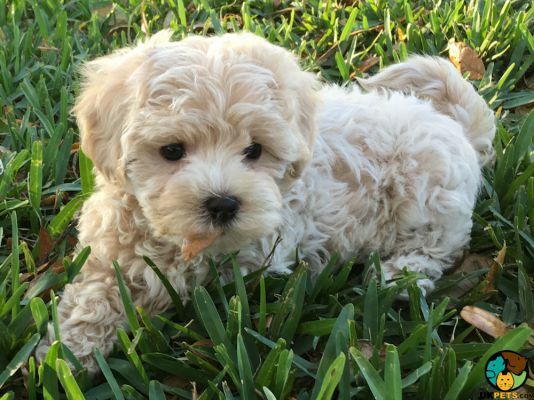 Whether the Maltipoo is hypoallergenic or not, there's no doubt that this charming dog is a popular choice for a household pet. The Maltipoo is yet to be recognised as a true breed by any major kennel clubs including UK's The Kennel Club. However, fans and enthusiasts in North America have established Maltipoo Club and Registry to make sure that breeders produce only healthy generations of Maltipoos. The Maltipoo is a small dog, weighing 5 to 20 pounds and standing 20 to 35 centimetres at the withers depending on which parent breed it takes after. This dog is a hybrid dog inheriting the physical features of its parent breeds, the Maltese and the Miniature Poodle. However, Maltipoos have a body structure resembling that of the Maltese than the Poodle. The head should not look too small or large with the rest of the body. It has a short muzzle, with dark nose and dark-coloured, tight lips. Its eyes are dark and round, while its ears are set high and wide apart. When it comes to the coat, its length and texture vary depending on its parent breeds. 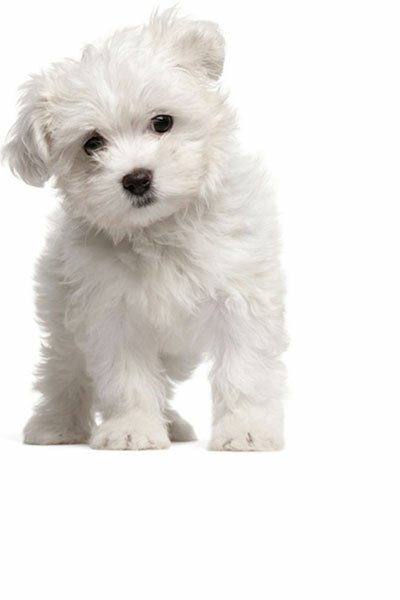 Maltipoos may sport a soft wavy coat with a nice curl or scruffy harsh coat in general. The coat may differ in colours that include cream, white, apricot, silver, brown, café au lait, black, silver beige, grey, red, blue and phantom. There is one thing to note about its coat, which is the reason why the breed was developed – it is low shedding. The coat of a Maltipoo is believed to be hypoallergenic, although many will argue that there is no such thing as a 100% hypoallergenic dog. However, despite its low-shedding coat, the Maltipoo still requires a good deal of grooming. It will need daily brushing to remove matts and tangles. It will also require bathing once a month. Like all dogs, it has other basic grooming needs aside from keeping its coat in top shape. Brush its teeth regularly, clean its ears to prevent wax build-up and trim the nails to avoid overgrowth. The temperament of Maltipoos will depend on their parentage. It is known to have an amazing and outgoing personality. Its inherent sociable personality makes them friendly towards strangers which is both a good and a bad thing. Maltipoos are loyal and affectionate, which make them a wonderful family pet. Because they are incredibly people-oriented, they tend to suffer from separation anxiety that may result in destructive behaviours. Like its Maltese parent, the Maltipoo likes the sound of its voice and can be quite vocal. Although it is not a natural watchdog, it is quick to bark to let owners know when there are strangers about. The Maltipoo is an intelligent dog and is a quick learner. However, it is also quick to pick up bad habits and as such must be trained consistently. Do not let it develop the "small dog syndrome" where it may acquire unruly and wilful behaviours because owners let it get away with them. Maltipoos are better suited to households with older children because they tend to be snappy with younger children or toddlers, especially when playtime becomes boisterous or noisy. With this said, it is important to make sure that they are well-supervised to keep playtime calm and safe. When socialised early or at a young age, they get along well with other dogs and family cats they grew up with. 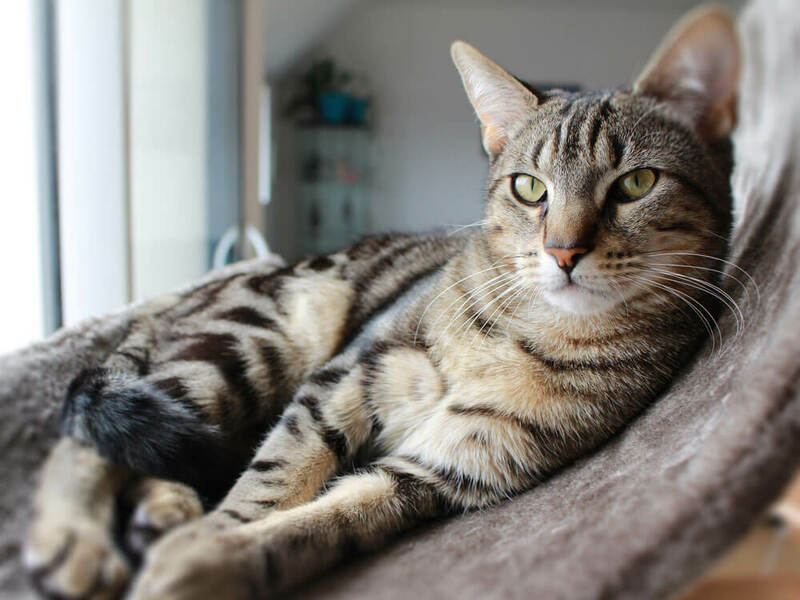 However, they won't hesitate to chase off any other cats or small animals they come across in the neighbourhood, so care should be taken. A typical serving for an adult Maltipoo is 5/8 to 1 1/2 cups of high-quality dry dog food per day. Feeding your dog a proper diet with the right amount is crucial to keep it healthy. However, its diet needs will depend on its age, size, activity level, build and metabolism. Consult a veterinarian, whom you can work with to determine the most suitable diet for your Maltipoo. Provide your dog with a balanced nutrition with ingredients rich in animal protein. There are tons of commercial dog food available on the market, make sure you buy dog food that is formulated for small dogs such as the Maltipoo. Since small dogs tend to overeat, measure and divide food into two to three meals so they don't become overweight. The Maltipoo normally has a 12- to 15-year lifespan. This hybrid dog is generally healthy with lots of energy. However, like all dogs, Maltipoos are also predisposed to certain genetic health disorders that they inherent from either of its parent breeds. These health disorders include Collapsed Trachea, Progressive Retinal Atrophy, Luxating Patella, Hypothyroidism, Hip Dysplasia, Cardiomyopathy, and Legg-Calve-Perthes Disease. The Maltipoo is a moderately active dog that requires 20 to 30 minutes exercise daily. 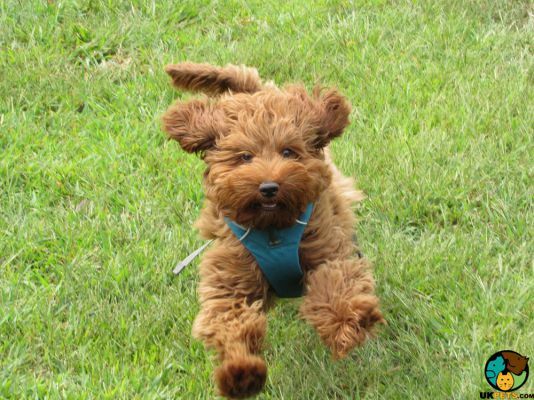 Take your dog for short walks or let them romp around in the backyard. They also love to play, chasing a ball across the floor for hours. If they don't get enough exercise, the Maltipoo can get bored and may become destructive. If you plan to buy a Maltipoo puppy, then be prepared to pay around £450 to £1,000 especially for a well-bred puppy from a reputable breeder. Also set a monthly budget for affordable pet insurance, which can cost around £23 to £45. However, the cost of pet insurance premium will vary depending on your location, the dog's age and health. Food costs will also vary depending on the age and size of your Maltipoo but a fair estimation is around £20 to £30 a month. Veterinary care is also an enormous cost that will set you back a lot. Taking your Maltipoo to regular veterinary consultations will cost you no lower than £800 a year. To cover the cost of caring for a Maltipoo, you will spend an average of £50 to £80 a month. 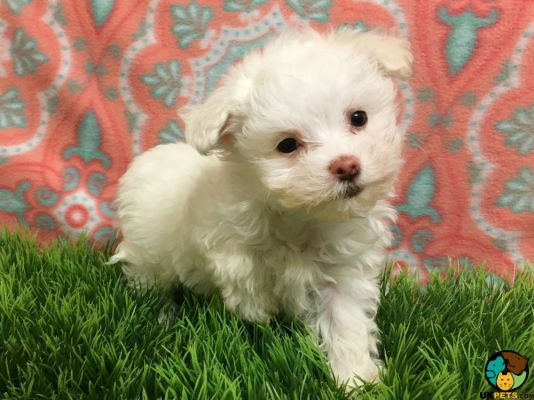 Is a Maltipoo Right for You? 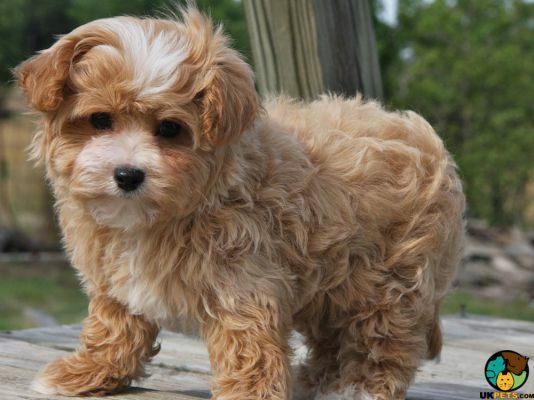 The Maltipoo is a hybrid dog, a cross between the Maltese and the Miniature Poodle. It is loyal and affectionate, which make it a wonderful family pet. It has a low-shedding coat and often considered hypoallergenic. Maltipoos are people oriented and may suffer from separation anxiety. They are intelligent dogs and are quick learners. They are not natural watchdogs but can bark to alert.